Kevco Builders is pleased to offer both a "blank canvas" to help you design your custom dream home from the ground-up, or a selection of award-winning floor plans which you can use as an inspiration to customize or build as-is. If you struggle to imagine what your home could look like, Kevco Builders offers a unique (and really cool) service as you work with one of the area's most experienced and talented digital design consultants to help you - in 2D and 3D - visualize, change, modify and save time and money. Watch the video below to learn more! Kevco Builders is the only local custom homebuilder to offer a unique, in-house computerized customization service where clients sit with one of the area’s most experienced and talented digital design consultants. During the process, the designer will input your ideas and dreams into a specialized computer program. You will be able to visualize your plans – in 2D and 3D – make changes, and ultimately save time and money. You will be able to see if you like the way it looks before construction begins. When designing a custom home, sometimes one change can have a domino effect on the rest of the project. For example, our digital designer may show you how moving an interior wall can change the roofline thus affecting the cost of the project, as well as dramatically altering the exterior aesthetics of the home. Being able to digitally design in-house is extremely efficient for our clients and our company. It is an affordable process and helps “value-engineer” the design of your home. Kevco Builders is pleased to offer a “blank canvas” to help you design your custom dream home from the ground-up. 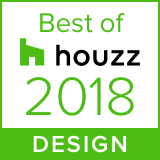 Or be inspired by our collection of award winning floor plans that you can customize or build as-is. The 2015 Parade of Homes Dream Home and the Lakewood Ranch Custom Home - seen below - are just two examples of our exceptional, award winning custom built homes. Perhaps they will serve as inspiration for your dream home. Click here to view a tour and video testimonial from two of Kevco Builders' custom home customers. While Kevco Builders prides itself on its “custom homes,” over time we have found these plans to be among our most popular or, at the very least, a great place to start in designing your dream home to fit your family’s needs, lifestyle and budget. We invite you to view the renderings and floor plans and begin to imagine your new home, built to your specifications, by the award winning Kevco Builders. Note: All square footage (sq ft) is represented in total combined air and non-air space.